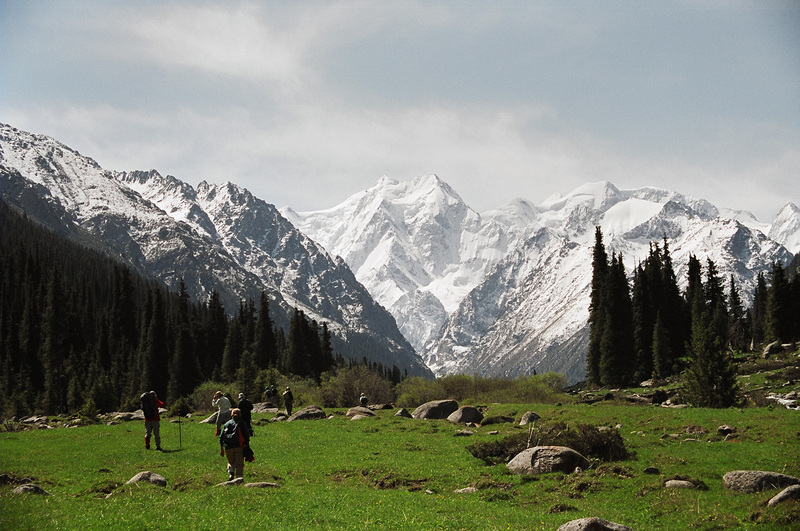 Trekking through the valleys, forests, and mountain trails of Kyrgyzstan is a great way to spend a weekend or holiday. 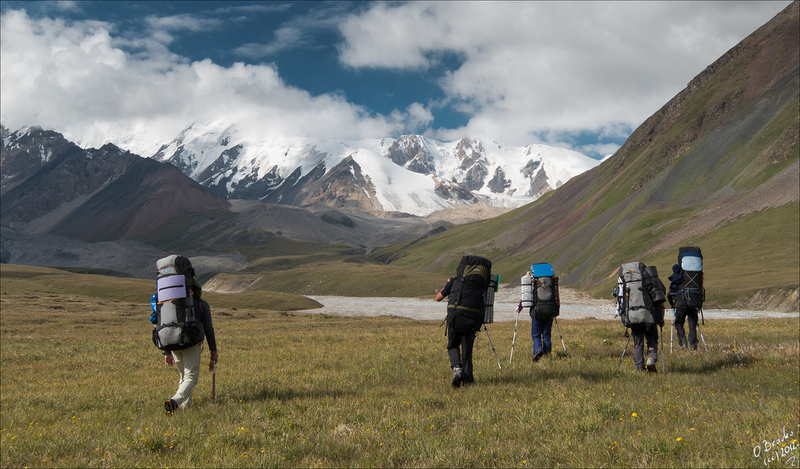 Trips over rough terrain allow tourists to explore Kyrgyzstan’s natural beauty, capture exquisite landscapes, and breathe in some fresh mountain air. The main advantage of trekking is that it’s a leisure activity that doesn’t require any significant investment or special training, but does improve and strengthen health as well as build endurance. The mountains of Kyrgyzstan will certainly help out with that. Since most of the country is mountainous, expect a good cardio and leg workout. 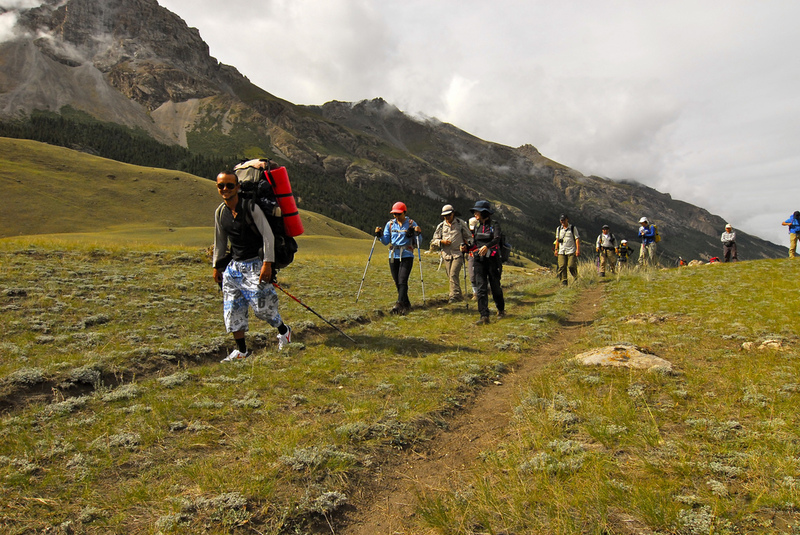 Kyrgyzstan has clear, sunny days almost ¾ of the year and little rainfall, so the weather is great for trekking. However, don’t forget warm clothes and sunscreen. Kyrgyzstan’s climate is continental, so the summers are hot, but even in the summer, nighttime in the mountains can get chilly and the high elevations make getting sunburned easy. Kyrgyzstan has just under 2,000 lakes, including the world 2nd largest alpine lake. Their sizes, shapes, and personalities differ greatly. Some sprawl themselves over the countryside like an all-encompassing blanket. Some protectively supervise the land at the top of high elevation passes. Some are tucked away like little sparkling jewels in the most remote nooks and crannies of Kyrgyzstan’s mountains. All of them make fabulous trekking destinations. Two famous mountain ranges in Kyrgyzstan are the Pamir-Alai and the Tien-Shan, which contain some 7,000+ meter peaks. There are also over 10 virgin peaks still in the country. Tourists often like trekking through Kyrgyzstan’s mountain ranges because they have a unique, surreal quality to them due to the shifting, yet ever present clouds that constantly move in and out of the mountains. There are waterfalls tucked away all around the Kyrgyz countryside. Some are harder to get to than others, but all of them are worth it. Travelers can take advantage of trekking to these beauties in any season. Even in the winter, frozen waterfalls are a spectacular sight to behold. 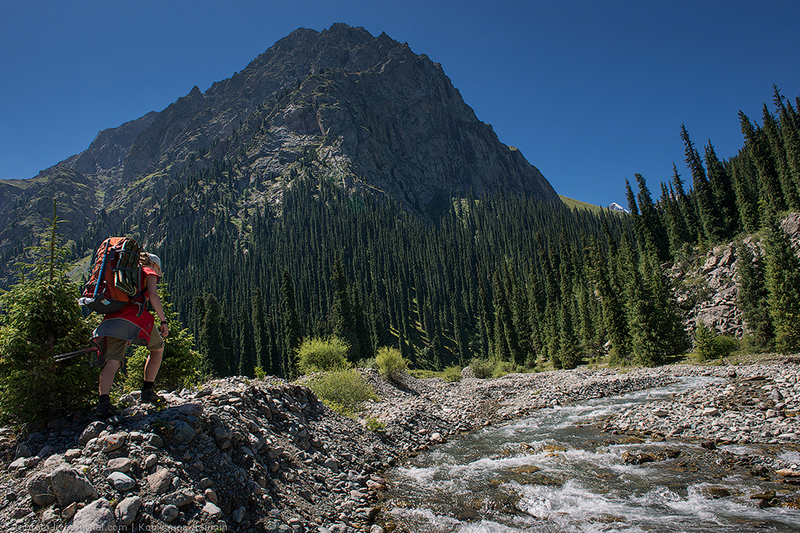 Energetic rivers, unbelievable rock formations, and all-around gorgeous scenery make Kyrgyzstan’s canyons and gorges a popular destinations for trekkers. 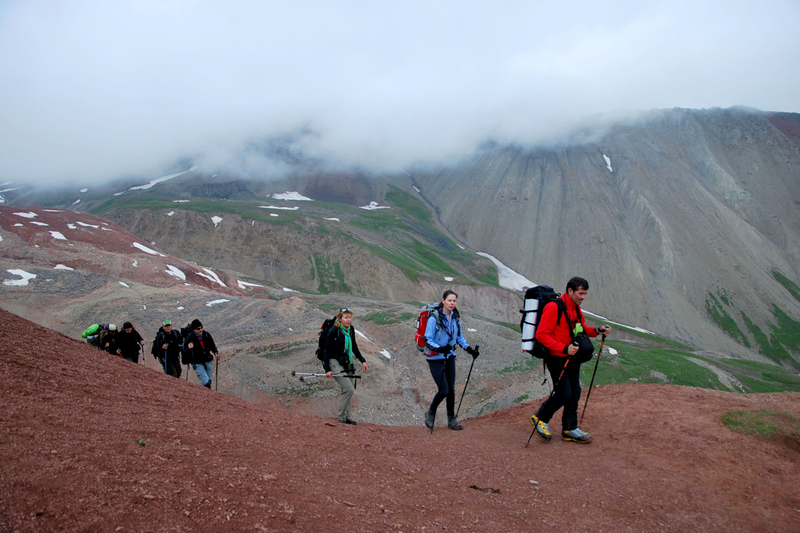 Each place exudes its own personality and contains different challenges for trekkers. 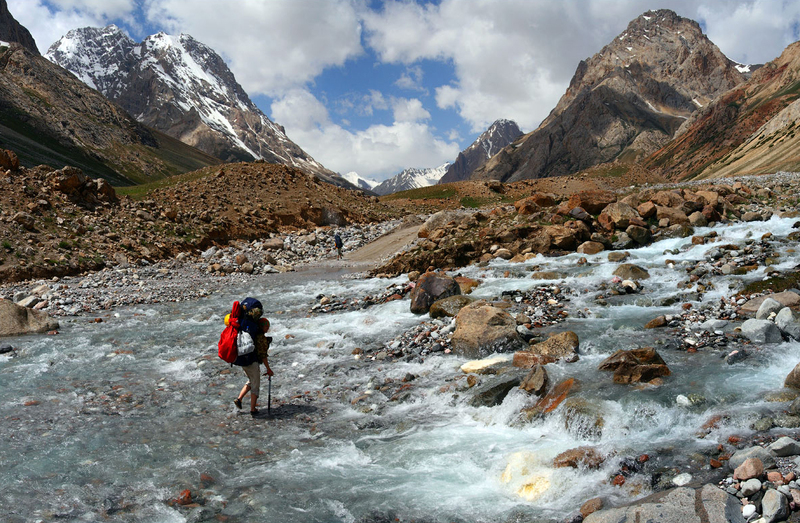 Kyrgyzstan has dozens of canyons and gorges for trekkers to explore. Ascention on peak B. Eltsin 5168м.